Hostel Mitte was one of the best hostels we stayed at. The staff was very nice and they even helped us plan our trip to the nearby caves. We ended up staying an extra night because we liked it so much. Although the hostel was in the city centre, it was really quiet at night, which made for a good night's sleep in combination with the comfy beds. 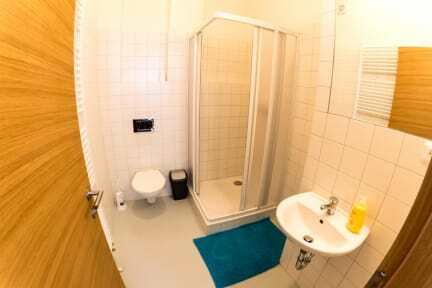 Nice hostel, great location in the city centre. Spacious room for six people! 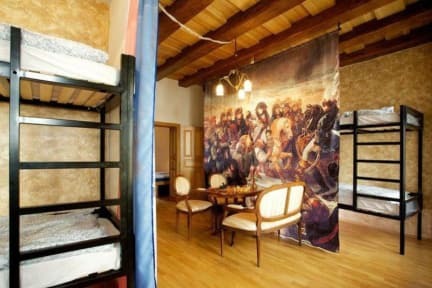 Beautiful hostel, really really luxurious. The personnel is friendly, the rooms are just lovely and the included breakfast is also veeery nice. Definitely recommend staying here! Female dorm was really nice, but it's not a real homy hostel vibe. Very good location. Nice hostel in the middle of the brno centre. Rooms are big and clean. Good choice if you are staying in brno. The womensdorm was amazing. It's in an appartment in another building than the main hostel - but like two meters from the main building so you can still easily go to the common room. The breakfast was awesome! The only thing was that the showercabin in the womensdorm was beoken so the whole bathroomfloor was constantly wet. That was the only thing that kinda bothered us. Clean hostel, good location, good facilities. But not a kind of party hostel. Friendly staff! Good value for money.. One thing wich is not a big deal but commen throughout the czech republic you have to hold your own showerhead whilst you take a shower.. Other then that the shower was good !